My aunt has wanted to replace her cloth for several years. She has specifically been looking for red gingham oilcloth. I want to surprise her with this. 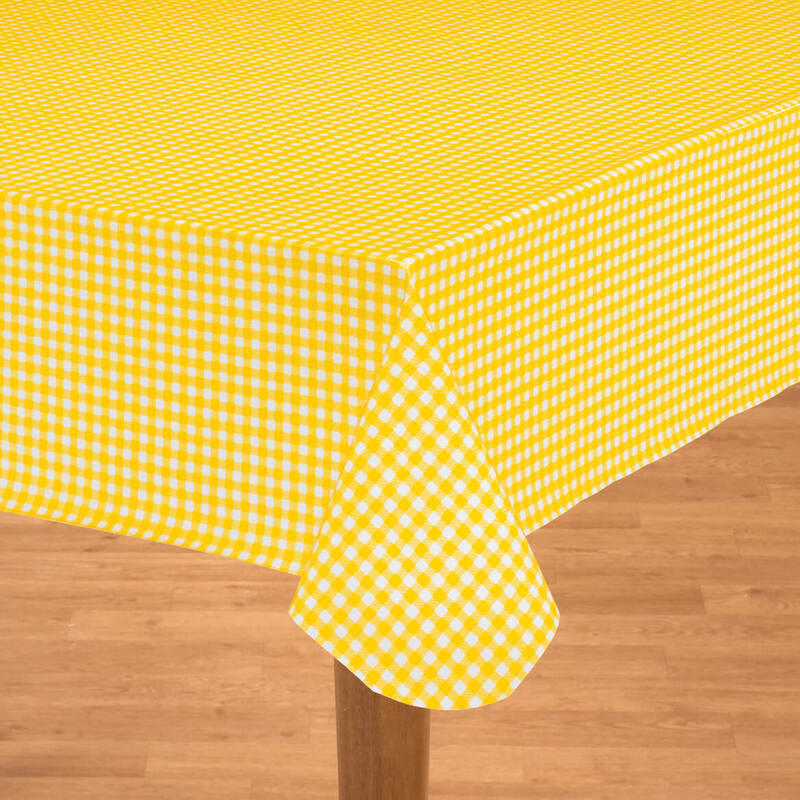 Hard to find yellow gingham pattern. Wish you had this in oval shape, though. 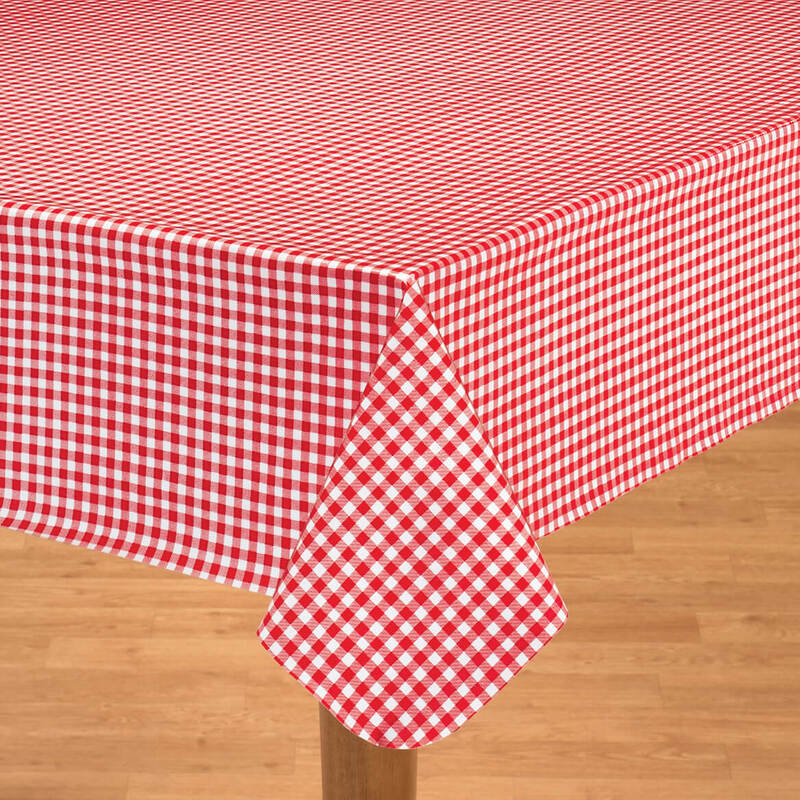 I like tablecloths. I would like to try the oilcloth instead of vinyl. Love oilcloth as I already own some!! I'm hoping the oilcloth table cloth will be heavier than the vinyl so that it will stay in place. Also oilcloth is very easy to wash off and looks great. great for outdoor use ! Love it !! I remember in the late 50's when we were married i had an oil cloth table cover. It wore like iron so I hope this is what I want now. 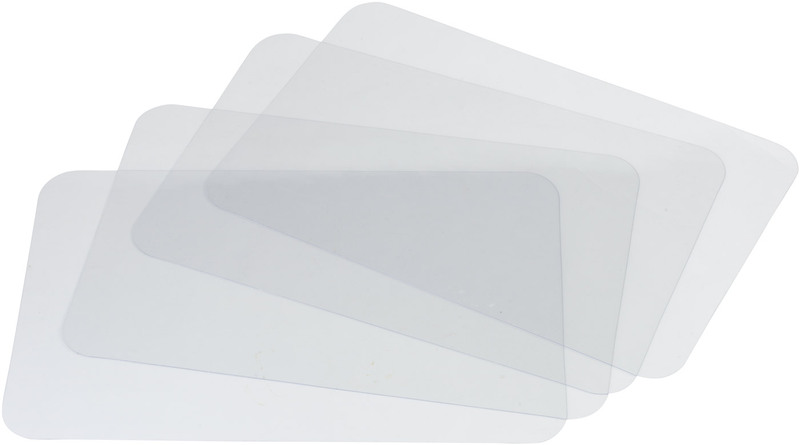 Tried many plastic table covers and just do not work. 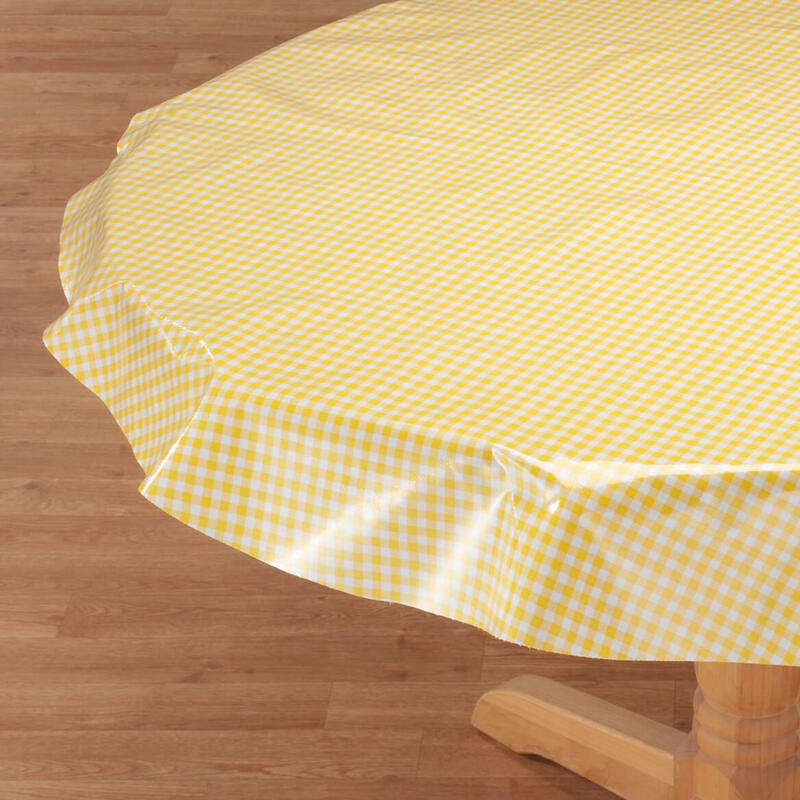 I have many cloth table covers but they slip and slid on the table. This is the only place I could find oil cloth. Because vinyl doesn't stand up to use. It looks pretty and sturdy. This works great on our picnic table. Holds up well in the weather. 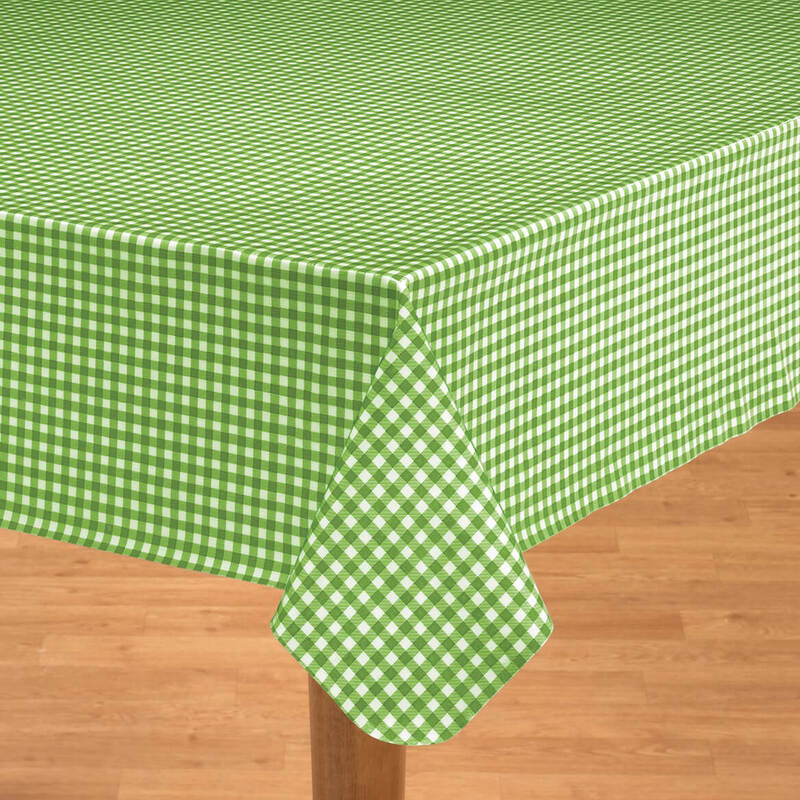 Easy to clean, always looks good & is very durable compared to most tablecloths on the market today. This is a must if you have children! The price was great and you had the right size! 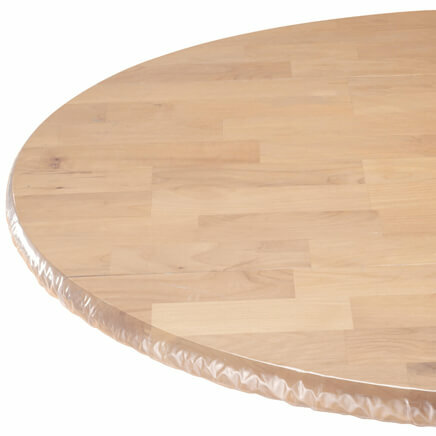 My kitchen table is round, and I like the easy cleanup of a vinyl tablecloth. works very well. used thisw item brfore and lasted several years. 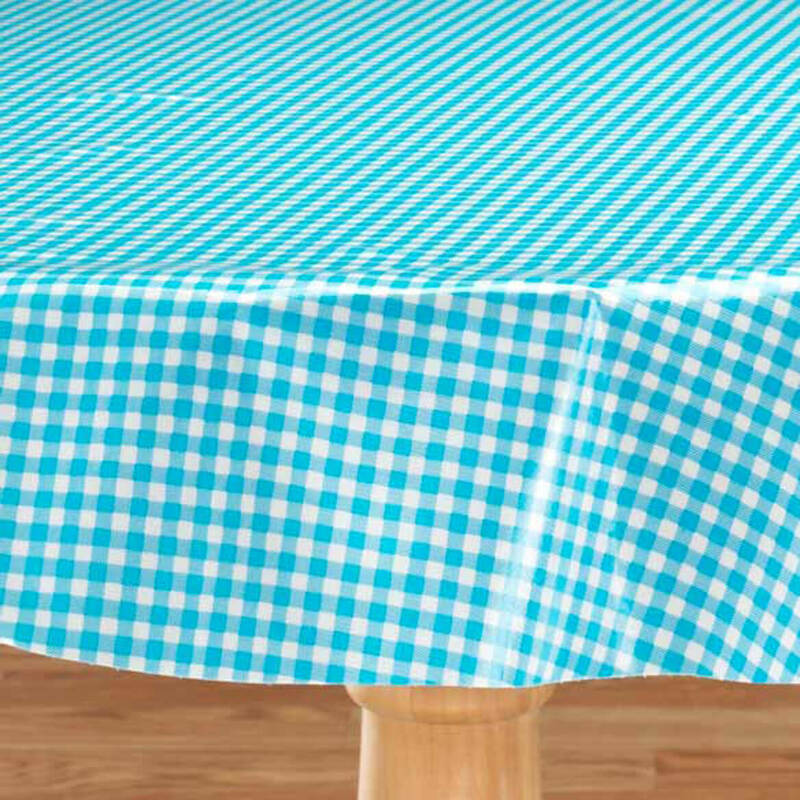 This is a little wider than similar oilcloth tablecloth material and so will fit my table better and look more attractive. 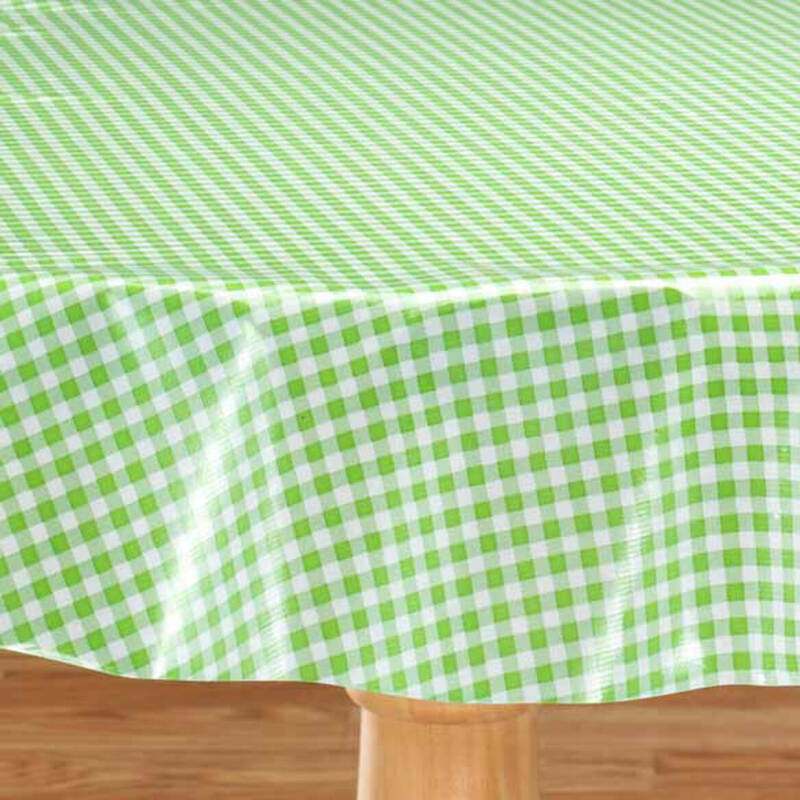 Pretty summer table cloth that is colorful and wipes clean. I was looking for an old fashioned look for entertaining on my deck - this looks perfect. Wish it had a flannel backing. Will make statement after I see product. Thank you. I know oil cloth table clothes that I have had in the past wear extremely well. I expect this one will too. This is for a cabin. I have never gotten a yellow one before but I think I will really like the color! 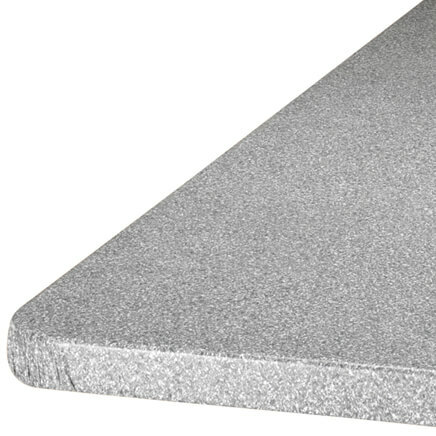 I saw the product at a friend"s home and liked the look and quality of the product. I needed matching table clothes and I like these a lot ! I like oil cloth. It is easy to clean and always looks fresh. is it 50% cotton 50% polyester with vinyl clearcoat ? BEST ANSWER: Thank you for your question. 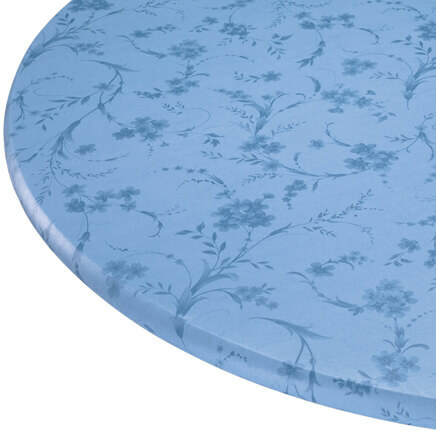 The oilcloth is not made with any kind of laminate. It is a printed supported vinyl with a poly cotton scrim backing, as opposed to a laminate fabric. We hope this information will be of help to you. Need to fit an outdoor table that seats 6. how big do i get? Its an odd shape. I think round would work the best. BEST ANSWER: Thank you for your question. 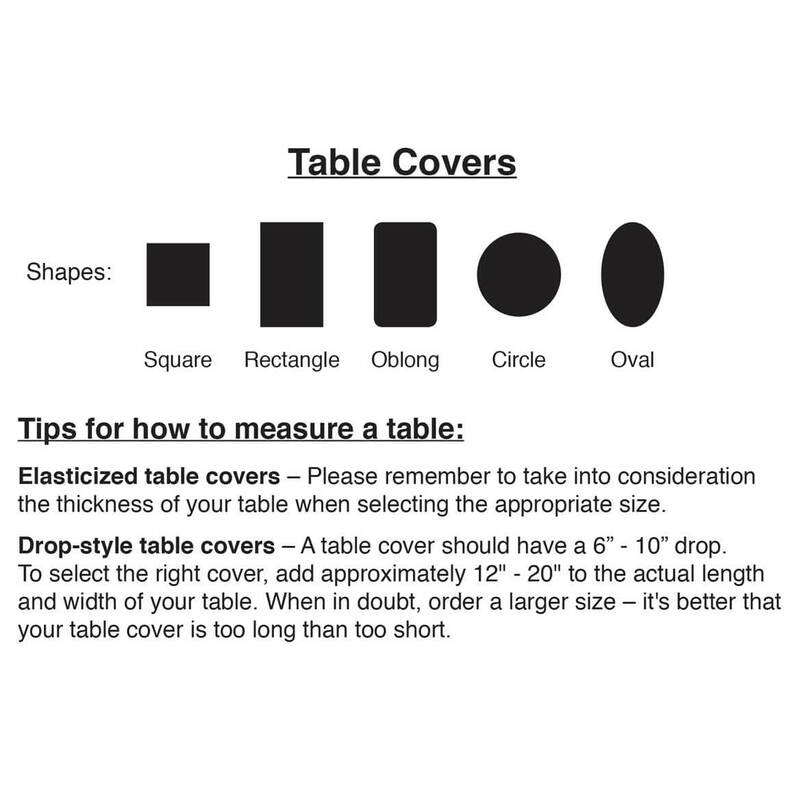 We suggest you measure your table before you order. We hope this information will be of help to you. There is no care label on the gingham oilcloth I just received. Is it machine washable? Can it go in the dryer? What's the safest way to get the creases out? BEST ANSWER: Thank you for your question. This item is not machine washable, you just wipe it clean with a damp cloth. 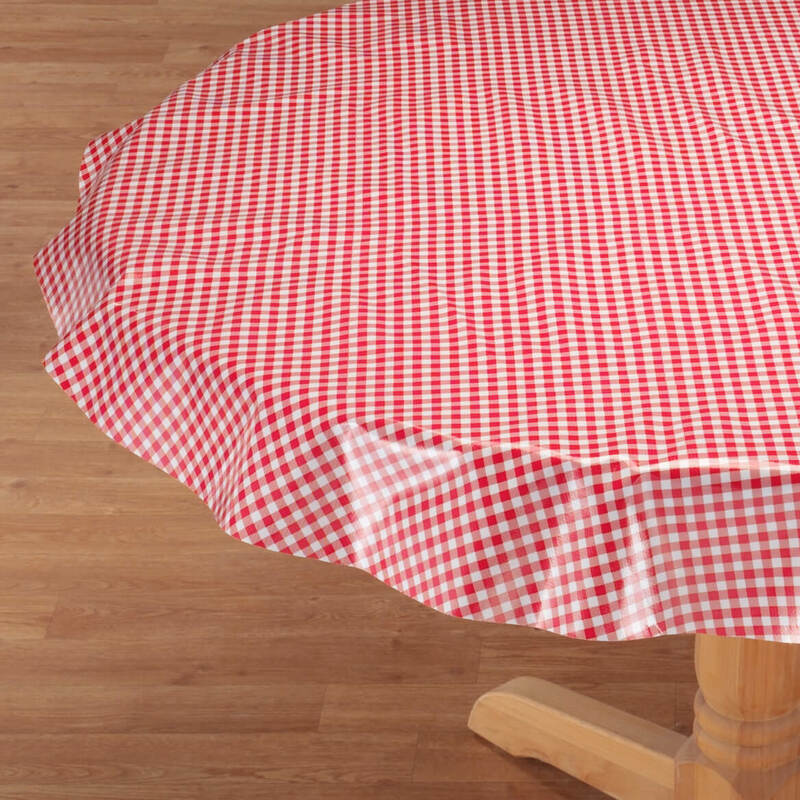 The wrinkles should dissipate over time, however, this can be expedited by exposing the table cover to some hot steam and then laying the table cover flat. You can also try placing it in a dryer on low heat along with a few damp towels for a few minutes at a time. 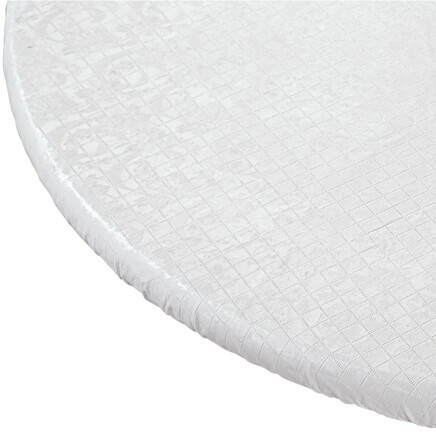 You can also use an iron on low heat and a damp towel on top of the table cover to iron out creases. We hope this information will be of help to you. 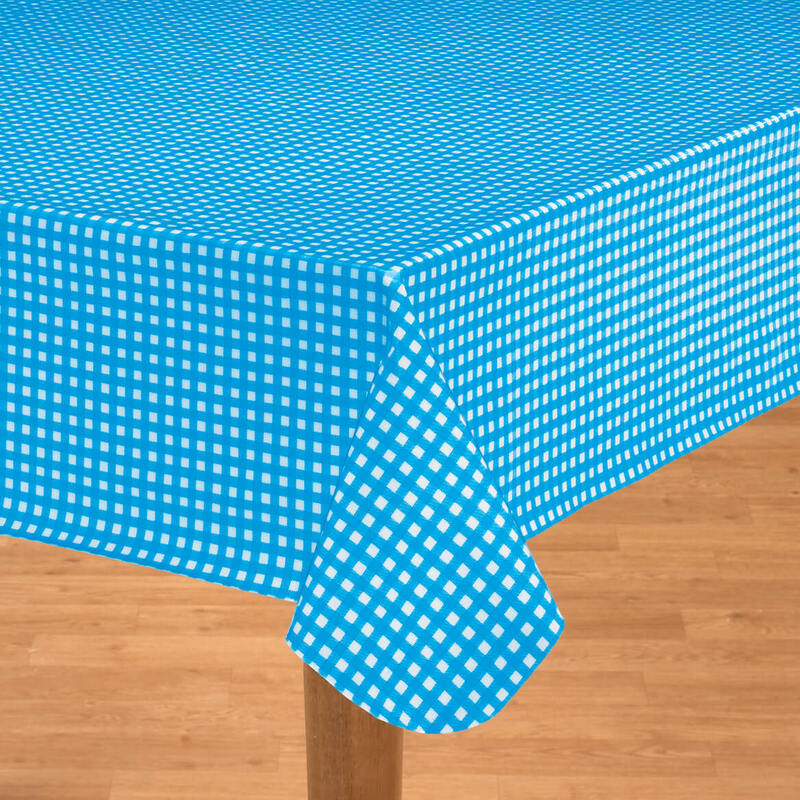 Do you have oilcloth tablecloth that will fit 48x60 table? BEST ANSWER: Thank you for your question. 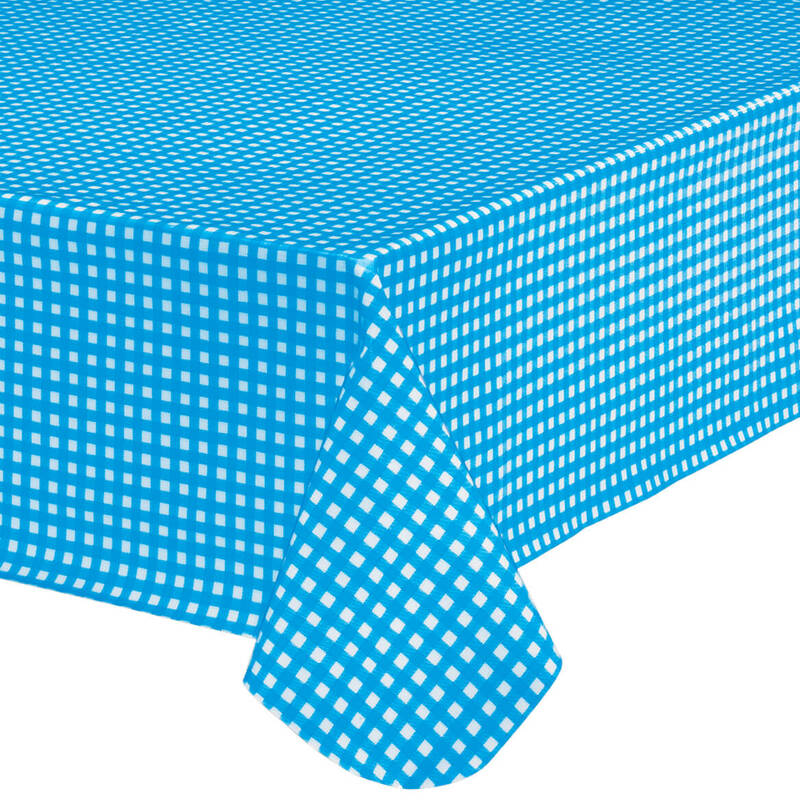 Unfortunately no, we do not offer this table cover is any other sizes than 48"x 70" and 48" x 84". We hope this information will be of help to you. BEST ANSWER: Thank you for your question. We have reviewed our stock of this item and can confirm this item is currently in stock and available for purchase on our website. We hope this information will be of help to you.